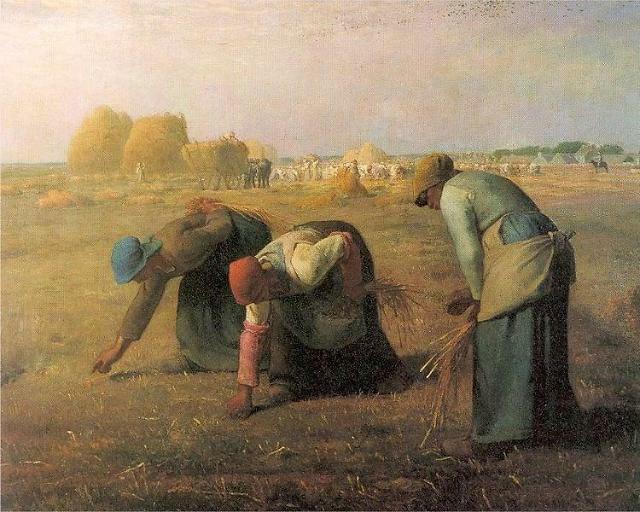 Gallerygoers who visit the Musee d'Orsay in Paris in the next four months won't be able to appreciate Jean-Francois Millet's masterpiece "Des Glaneuses," or "The Gleaners" in English, as the 19th century painting, among other classics, will be on display at a museum in Seoul. The Hangaram Art Museum in southern Seoul is to open a special exhibition on Saturday jointly with the French museum that shows a total of 130 paintings and sketches by great painters, including Vincent Van Gogh and Claude Monet. Guy Cogeval, president of the Musee d'Orsay, said during a press briefing Friday that he was so glad to have this chance to share precious paintings, including some newly acquired pieces, with Koreans. For the last couple of years, the museum has added a lot of new paintings to its collection, the president said. "We will continue to work hard to make the museum stay ahead and constantly evolve with new artworks." It is the French museum's fifth exhibition in Korea, but each exhibition has been different in terms of content and theme. Among the 130 paintings being exhibited, only two -- Millet's "Des Glaneuses" and Auguste Renoir's "Jeunes filles au piano" -- have been on display in Korea before and the rest have traveled to Korea for the first time. "In this exhibition, gallerygoers can see the artistic and aesthetic transition from the 19th century to the 20th century. I would like to call special attention to Gogh's 'La Meridienne,' which has never traveled to Asia since the museum opened," curator Xavier Rey said. The curator also emphasized the Korean exhibition is the epitome of the French museum's mission to show the diversity of the 19 century art in a perfect form. Leila Jarbouai, an official from the department that conserves sketches, pointed out the public display of studies as the most special feature of the Seoul show. "It is often the paintings that go on an overseas tour. Sketches hardly do so because once they are publicly shown for some time, they should be kept inside a special storage for a few years," she said, adding, "Having said that, we are so happy to introduce this precious sketches to Korean people." Near Millet's "Des Glaneuses" are displayed rarely seen sketches by the painter to show the importance of prep work and a glimpse into, possibly, countless drawings before the masterpiece was born.